Annemarie Alf, PT, DPT, CSCS is North County San Diego’s leading Doctor of Physical Therapy who specializes in returning athletes of all ages back to the sports and activities they love. SHE founded OLYMPUS MOVEMENT PERFORMANCE because she wanted to create a space that focuses on the WHOLE person and athlete. After spending many years in her young professional career with youth and high school aged athletes, she has returned to those roots in the foundation of creating Olympus Movement Performance. Annemarie focuses on returning athletes of all ages from the rehab phase to the performance/ return to sport or activity phase. As an athlete herself, she has fully recovered from a full knee reconstruction of an ACL repair, MCL and medial/ lateral meniscal tears to all the sports she loves. But Olympus doesn’t just focus on the young athlete. Annemarie has seen a huge void in the traditional medical and physical therapy settings in actually addressing the root causes of injuries and ‘diseases.’ For this reason she has created the Holistic/ Integrated approach that Functional Medicine/ Nutrition and Hormone Balancing allows for to assess and treat the WHOLE person. ANNEMARIE graduated with a DOCTORATE IN PHYSICAL THERAPY from UNIVERSITY OF ST AUGUSTINE. SHE is certified as A STRENGTH AND CONDITIONING COACH and a Certified SFMA (Selective Functional Movement Assessment) provider. Annemarie, an athlete herself, is a National Champion Waterski Jumper, CrossFit athlete, UltraRunner and IRONMAN Canada finisher. She was the first American Physical Therapist to work with any Chinese Olympic Team at an Olympic Games. As the Performance Physical Therapist to the Men's and Women's Chinese Olympic Gymnastics Team she attended the 2012 London Olympic Games and provided daily evaluation and treatment of all gymnastics athletes. The Chinese Olympic Gymnastic team achieved eight total gymnastics medals, more than any other nation. Currently, Annemarie is the Strength and Conditioning Coach and Physical Therapist to the San Diego Sockers. Brittany is a board certified Athletic Trainer, Nutrition Coach, and Manager at Olympus. She graduated from SDSU in 2013 with a bachelors in Kinesiology emphasis in Athletic Training. After graduating she worked with physical therapists as a physical therapist aide. From there she delved more into the nutrition world and began helping people with their lifestyle’s by educating them on the importance of a good diet and adequate exercise. 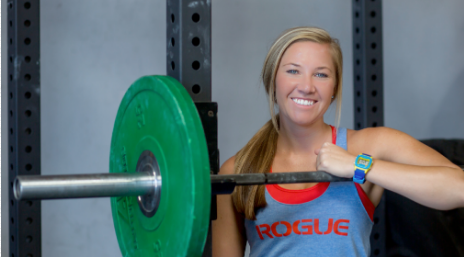 Brittany has coached CrossFit and currently coaches the Adult, Teen and some of the Sport Performance Classes at Olympus. Brittany realized early on during her Athletic Training schooling that she wanted to be more involved in the rehabilitation and injury prevention with athletes. She also knew that not only high school and collegiate athletes needed this care, but adults and the older population would benefit as well. At fifteen, Brittany was sent to physical therapy for an injury and it was there that she realized there was a gap from going from physical therapy back into sport or hobbies. Brittany wanted to bridge that gap and help people build their confidence as they progress back to the activities that they love. Brittany is passionate about working with all athletic levels. From teens wanting to supplement their sport, to parents who are trying to balance their schedules to fit everything in, to the grandparents who want to stay active and spry not only for their health, but for their families. Brittany believes that regardless of where you are in life or your limitations, exercising and moving can be done in a healthy way. She also believes that good nutrition creates health in all areas of ones life, and being educated in the importance of our food choices plays a vital role in overall wellness. Kimberly Marshall, FNP-C, is Olympus Movement Performance’s Certified Family Nurse Practitioner who provides individualized treatment plans with a holistic approach to optimize health combining evidenced-based western medicine and complementary holistic medicine. She brought her practice to Olympus Movement Performance because she is passionate about providing patients in a setting in which there is a team of professionals to provide support to the patient in an integrative way. She spent many of her professional years in the setting of conventional western medicine, but found it fell short in prevention and true partnership with the patient. At Olympus she is able to block out the appropriate time with each patient to allow for the time needed to get to know her patient’s individually, developing a personalized plan to reach optimal health. She is also passionate about the art and gratification of facial enhancement therapy. Kimberly is a native of Phoenix, Arizona. In her spare time, she enjoys spending time with her family and her dog, traveling, hot yoga, hiking, running, cycling, SUP, swimming and basically anything outdoors! 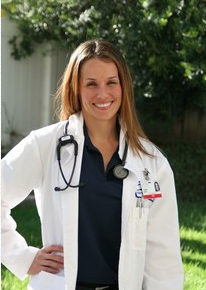 Lauren Jones, our registered nurse, has been working in the medical field for over 12 years. Starting her career in emergency medicine she went on to build her nursing skills within the hospital setting as well as in the community setting as a hospice nurse. Lauren has always had a passion for a holistic health model, treating the body, mind and spirit by empowering her patients to improve their health and quality of life. Inspired by her the loss of her newborn son and her journey with grief, experiencing what she had been witness to as a hospice nurse, Lauren dove into an integrative approach to her own health and wellness. Lauren has sought to learn a variety of complementary modalities to treat the whole person not just a single ailment. Lauren is excited to join the team at Olympus and be able to offer our community a unique, integrative approach to health and wellness. Lauren spends her free time with her family, hiking, paddle boarding, camping, doing crossfit, and living her life more fully as a legacy to her youngest son. ​Dr. Jaime Goldman is a licensed Doctor of Physical Therapy in the state of California, and specialist in the care of pregnancy, post-partum, and the pelvic floor. Jaime grew up in Ontario, Canada, and competed internationally and at the collegiate level in alpine ski racing and women’s soccer. Her athletic career highlights include being awarded 5-time USCSA All-American honors in alpine ski racing, and acting as team captain over three seasons at the collegiate level, as well as during her two-year tenure playing in the Canadian Professional Soccer League. Jaime holds a Bachelor’s of Science dual-major degree in Athletic Training and Sports Medicine (Lees McRae College, 2004), and received her Doctorate in Physical Therapy from Gannon University (2008). With almost 10 years of experience as a physical therapist, Jaime has worked in a multitude of therapeutic settings, including in hospitals, in-patient rehab, and private practice. Dr. Goldman was also a former physical therapy specialist with Johns Hopkins Medical Systems (SMH campus), on their prestigious joint replacement team. ​After becoming a mother in 2013, Jaime’s focus shifted towards a new passion in Women’s health physical therapy. In her own words, Jaime states, “Becoming a mother has been the most transformative experience of my life. It has deepened my spiritual and emotional understanding of who I am as a person, and how I am meant to serve others.” Her work as a birth doula, and as a registered yoga instructor, are extensions of this awakening. Jaime has completed numerous advanced practice certifications and seminars to enable her to provide expert-level care for women in pregnancy, post-partum, and in managing pelvic floor conditions for female pre-teen/teens and women. She brings her passion for women’s health along with her technical skills from advanced training and study, and her lived experience as a mother of two, and uses this powerful combination to bring healing, and improve the quality of life of her clients. Sessions with Jaime will integrate the breath and nervous system, functional movement, strategic strengthening, and compassionate hands-on care. The results will speak for themselves. 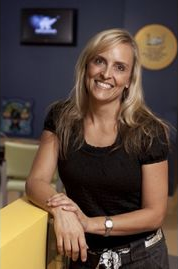 Cary Barberich, PT, DPT,received her Doctor in Physical Therapy degree in 2007 from Columbia University in NYC. After graduating with a BFA in Acting form New York University’s Tisch School of the Arts, she danced professionally with several ballet & theater companies in New York, LA, Chicago & South Carolina. Cary’s diverse physical therapy background includes working with prenatal & postpartum women, neurological conditions such as stroke, Parkinson’s and Traumatic Brain Injury, vestibular/balance disorders & general orthopedic diagnoses. Cary has been trained in Pilates since 1998, was certified by Broadway Pilates,Ltd in New York City & Resolution Wellness in San Francisco. Cary founded Lululaties & Physical Therapy in 2013 and is most recently earning her certification in Applied Functional Science. Cary is a proud Mama of Lucy (born in 2013) and (Ruby born in 2015). Katie started doing massage in 2005. She went to school at International School of Professional Bodywork (IPSB) in Pacific Beach. She started working at various spas throughout San Diego but her passion was working with athletes and improving athletic performance. Katie worked with Jelly Belly Professional Cycling Team and Sonofi Aventis Team Type 1 Professional Cycling Team full time traveling with the team for 5 years. Her most recent adventure was working with the Philadelphia Eagles providing massage therapy post-gameday. Since retiring from being on tour with the cycling team Katie lives in Murrieta, CA with her husband, 3 children, and fur-baby Tank. She loves running, yoga, snowboarding, and the beach. Kayla George keeps our front office here at Olympus running smoothly. She joined our team in 2017 and spends her free time either in the yoga studio or cheering on her husband who is a competitive weightlifter. Wellness and balance has become a passion in her life after she experienced the drastic effects that neglecting your own health can take on you. Being able to help others in their journey to finding/maintaining wellness while still building her own is one of her favorite parts of being a part of the Olympus team. Naomi Garcia graduated as a Medical Assistant from Kaplan College. Her past experience includes Pediatrics and Family Medicine. From past work experience at a Community clinic and personal family history, she has seen first hand how diseases such as Diabetes can make a huge impact in someone’s life. Naomi is excited to be helping others combat these diseases through healthy lifestyles and preventative medicine.